The line, didactic and high-minded, obviously serves as a mission statement for the whole movie, a call to arms issued by a writer-director whose films constantly portend human grandiosity despite often being chilly. And yet it’s stuck with me, partly because it reminds me of just how far away I am from my own childhood dreams of being among the stars, and partly because the past few years feel like we’re far, far away from a world in which we can reasonably dream of just about anything. The quote came to mind again last week as I went through all seven episodes of The Habitat, a new nonfiction podcast series by Gimlet Media, which documents the yearlong adventures of a group of people who volunteered for a terrestrial mission simulating life on Mars. These are folks who, indeed, wonder at our place in the stars, and in many ways represent the best of what we humans can be. But as we come to learn over the course of the podcast, even the best of us are still, for better or worse, human. 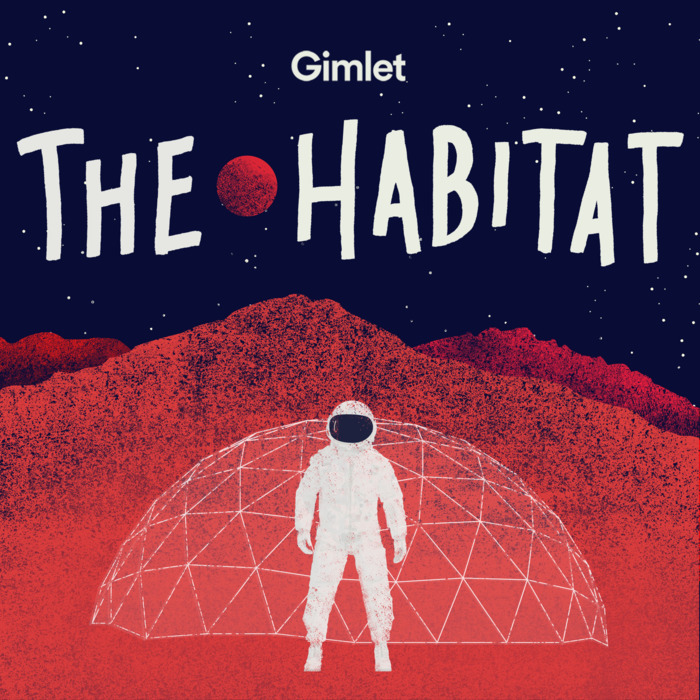 Produced and hosted by Radiolab alum Lynn Levy, The Habitat looks at one iteration of the Hawaii Space Exploration Analog and Simulation (HI-SEAS), a NASA-funded research program that’s dedicated to studying physical and social human dynamics within the context of space exploration. The experiments involve assembling a group of volunteer scientists, and then confining them inside a dome located in an isolated part of Hawaii with terrain conditions resembling that of Mars. A HI-SEAS mission is a highly managed simulation that takes its environmental authenticity seriously, from the freeze-dried food to external communication delays to prohibitions from stepping outside without a spacesuit. Which is to say, a HI-SEAS mission is a massive game of playing house for the purposes of SCIENCE: If we endeavor to live among the stars someday, then we also have to square with the fact that we’re going to live with each other among the stars someday. As anybody who has ever lived with a group of people in very close quarters can tell you, things get messy. The Habitat focuses on the fourth of these HI-SEAS missions, where six volunteers embarked on a yearlong confinement period between the summers of 2015 and 2016. As a testament to how good planning leads to great tape, the raw material making up the podcast comes out of a savvy arrangement: Each member of the crew was given an audio recorder (with which they were asked to keep audio diaries), and they were periodically sent questions by Levy about the life inside the dome. Like Roach’s books, The Habitat is breezy and charming. It feels like a direct extension of Levy’s personally driven curiosities, and she seems especially curious about the moments when HI-SEAS scientific conditions clash with the social lives of humans. Not that there isn’t discussion about things like, say, pooping in space, of course. (There is a decent amount of that.) Rather, The Habitat feels most animated when it’s trying to figure out more planetarily pedestrian questions like who’s shacking up with whom, and what’s up with all those breakfast burritos. All of this amounts to a show that feels more like reality television than Radiolab, which might frustrate listeners hoping to get more of those sweet, sweet sound-rich science and philosophy discussions now that Jad Abumrad has turned his attention to the Supreme Court. For what it’s worth, I liked much of the “reality podcast” stuff just fine — though it’s certainly not spicy enough to bring the sweats one would get from watching, say, Real World — but I will also say that if we were to take The Habitat purely on those terms, it wouldn’t make for required listening. But that’s where McConaughey, Interstellar, and our place in the stars come back into focus. Far from being a quirky attempt at “reality podcasting,” Levy’s playful gaze at the mundanity of people within the grand context of a surreal simulated space experiment is … kind of beautiful, frankly. Sure, much of the podcast feels superfluous. And sure, there are parts that simply do not work. (I’m thinking, specifically, of a sonic interlude that tries to depict the noises of a day in the life of a dome-dweller). But the whole is more than the sum of its parts, and the whole of The Habitat is a story about interplanetary dreamers who are people, just people, as we all are, even if we find ourselves living among the stars one day. And if we do, what happens next? There are hundreds of painful little questions evoked by the hundreds of little things captured in the show: In space, how will we be smitten? How will we relate to our loved ones back home, millions of miles away? And how will we miss the feel of soil beneath our feet, our place in the dirt? The Habitat is far from perfect, but in flashes and sparks, it is galactically exquisite.